Almost done. 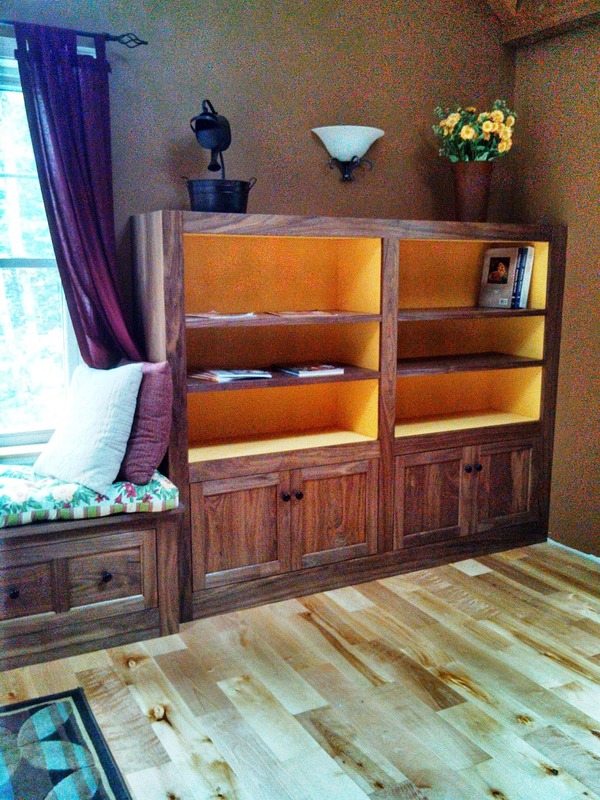 Next are the wood tops above the bookcases, some simple molding and voila! We need more “stuff” on the shelves! 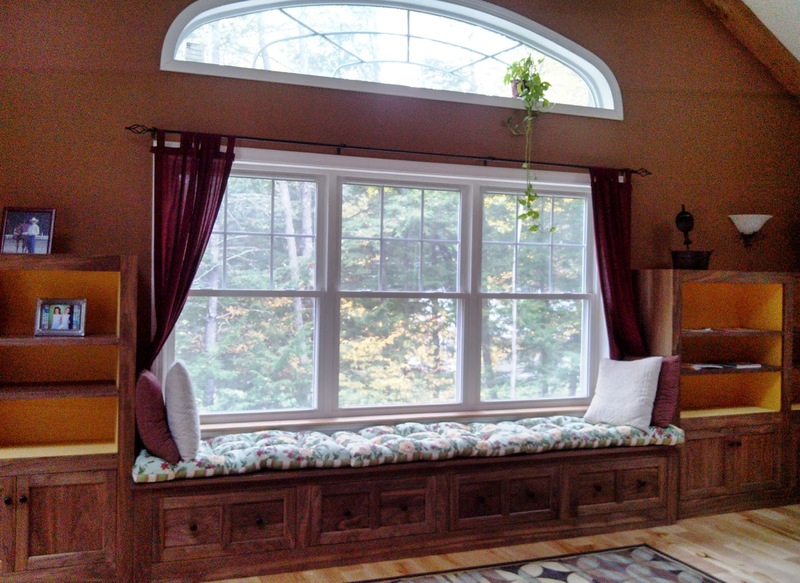 And, maybe a bigger plant in the window. 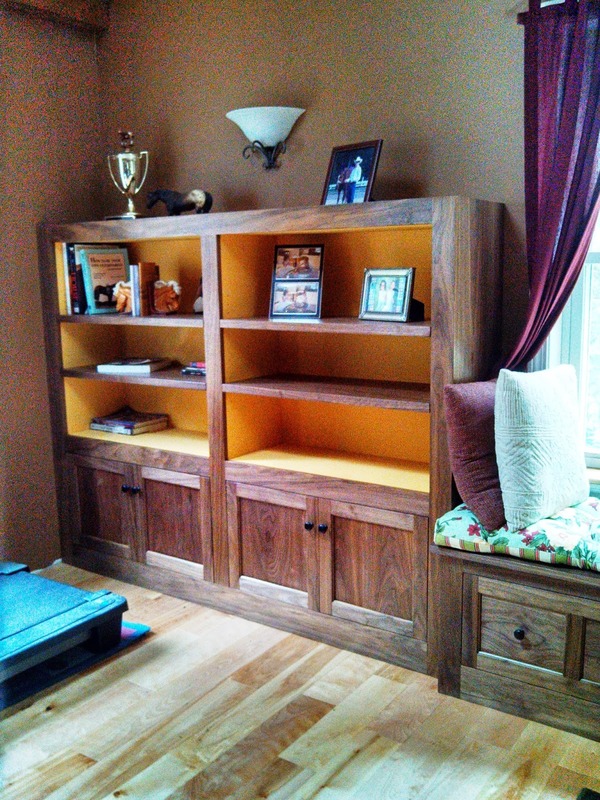 This entry was posted in Creative Woodworking and tagged bookcases, walnut wood, window seat, woodworking. Bookmark the permalink.